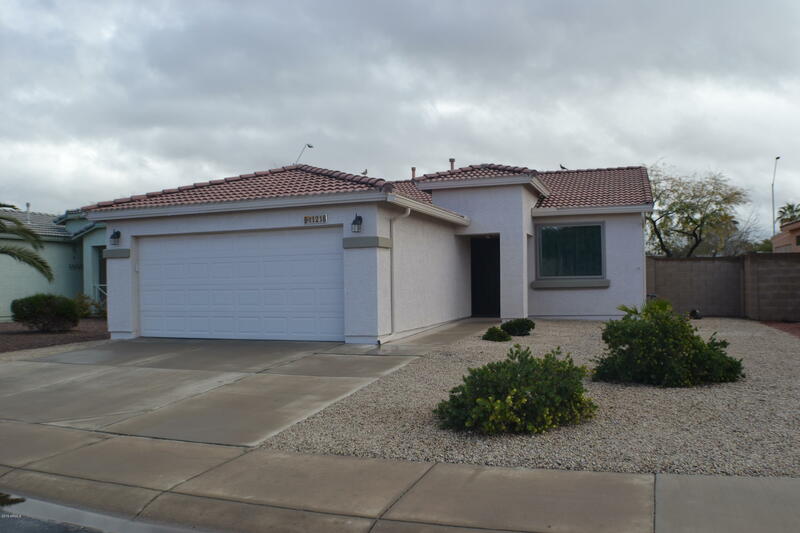 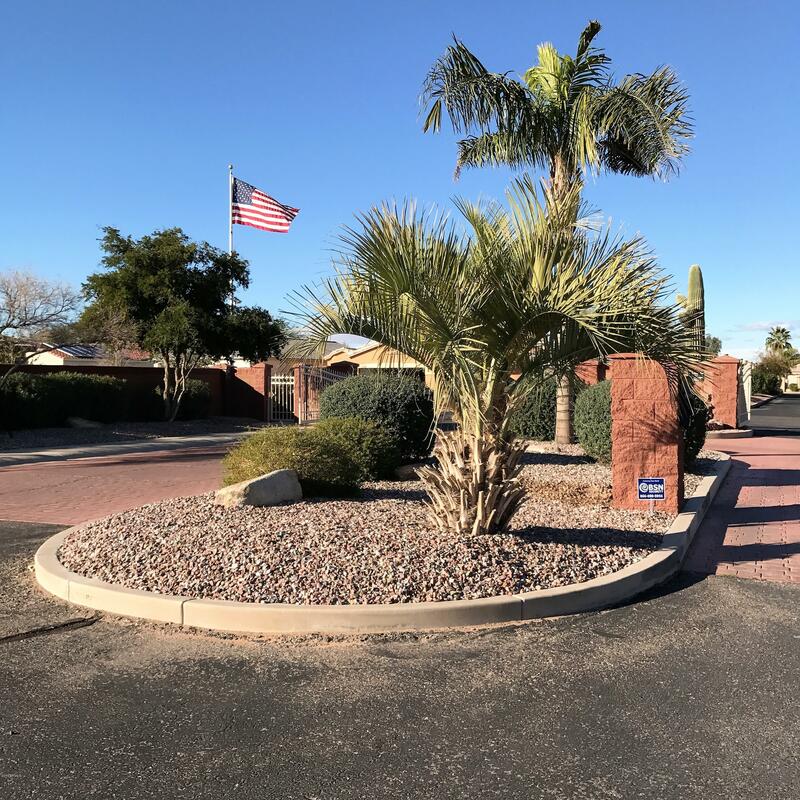 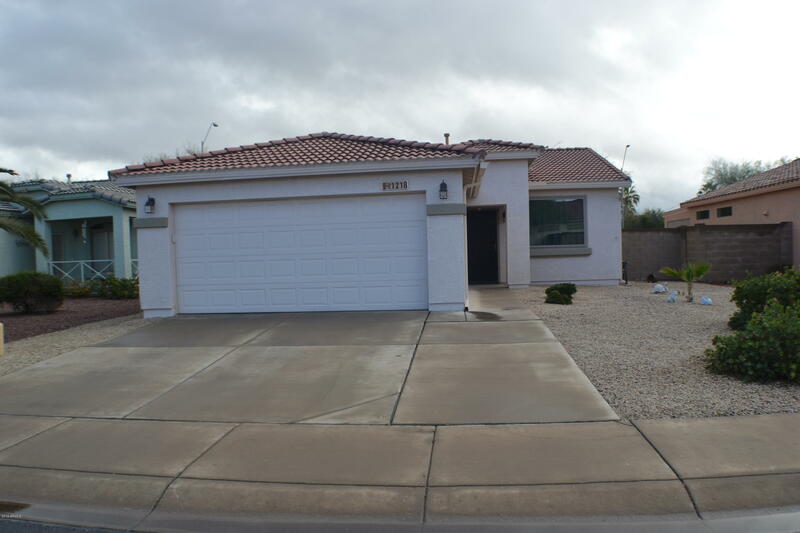 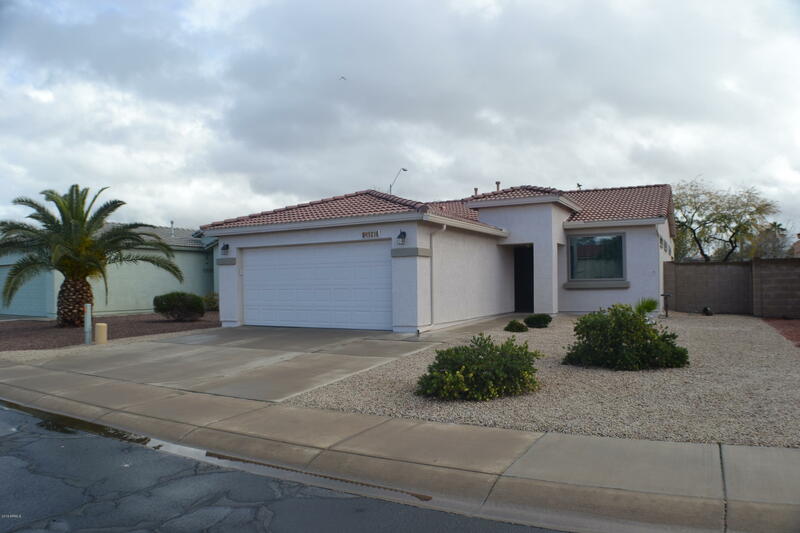 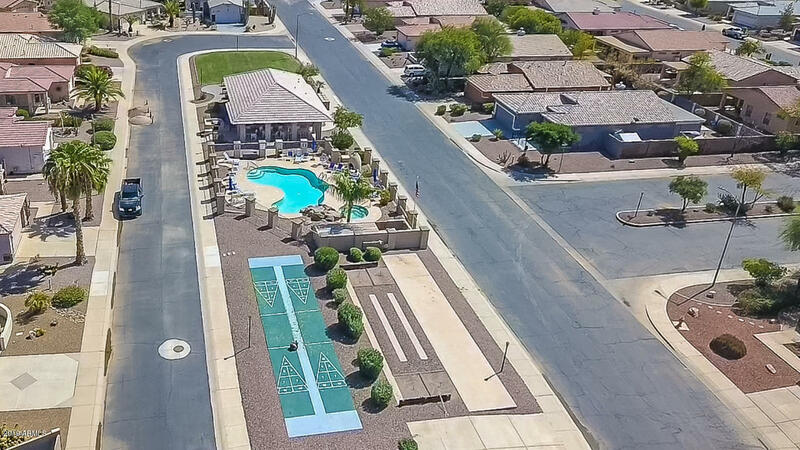 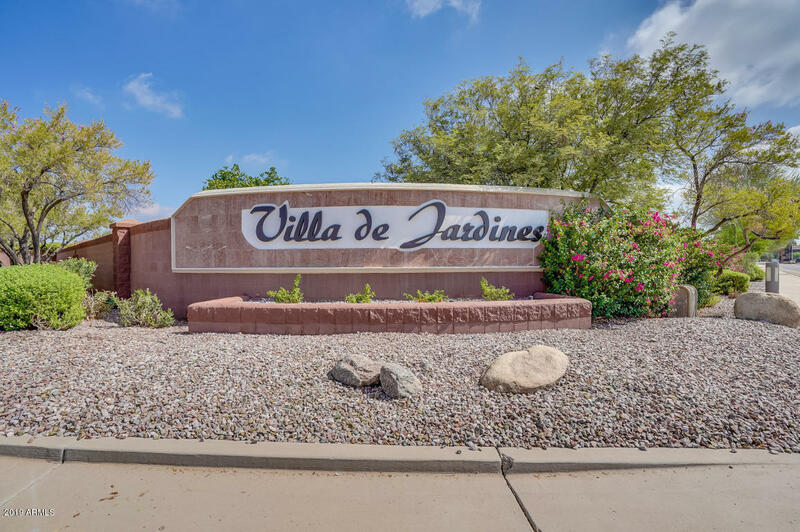 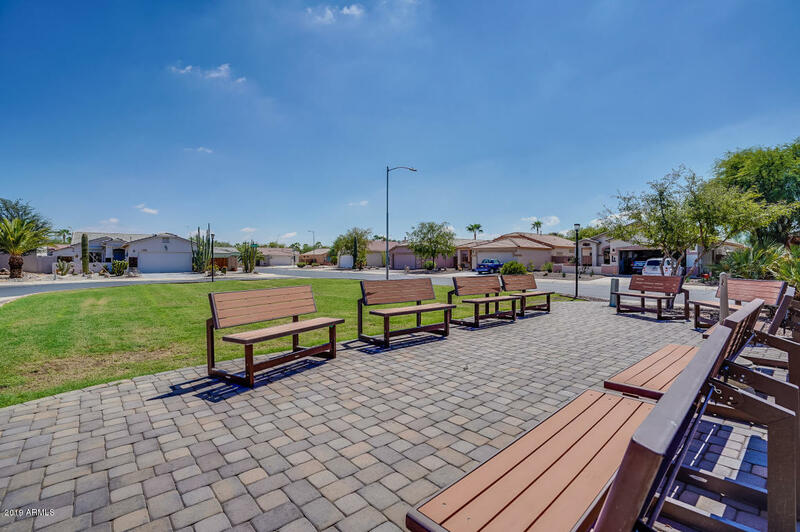 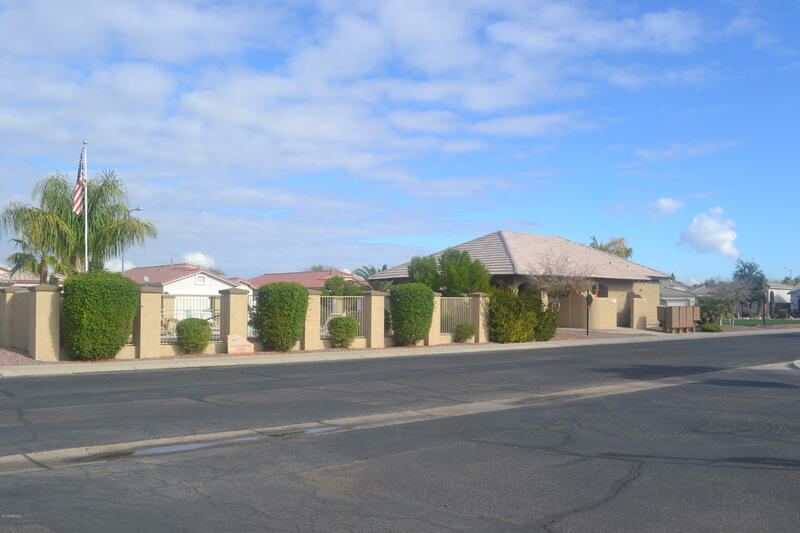 Don't miss this one if your looking for a 55+ gated community with a private backyard. 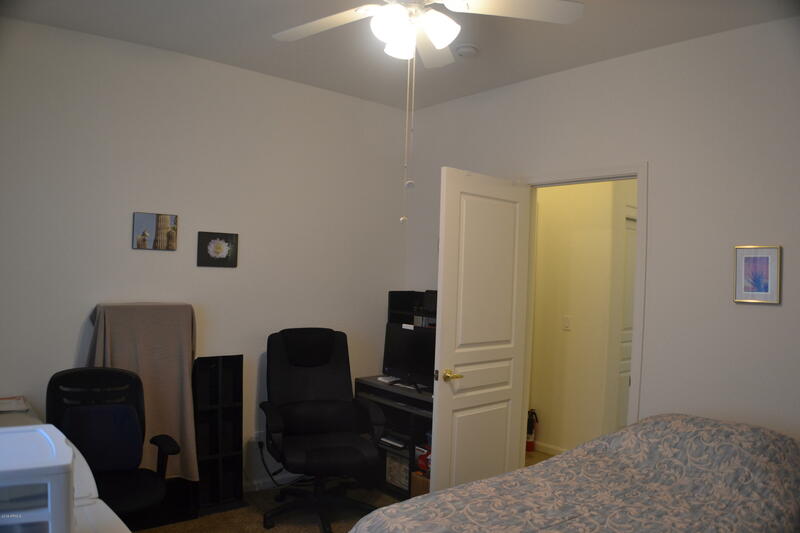 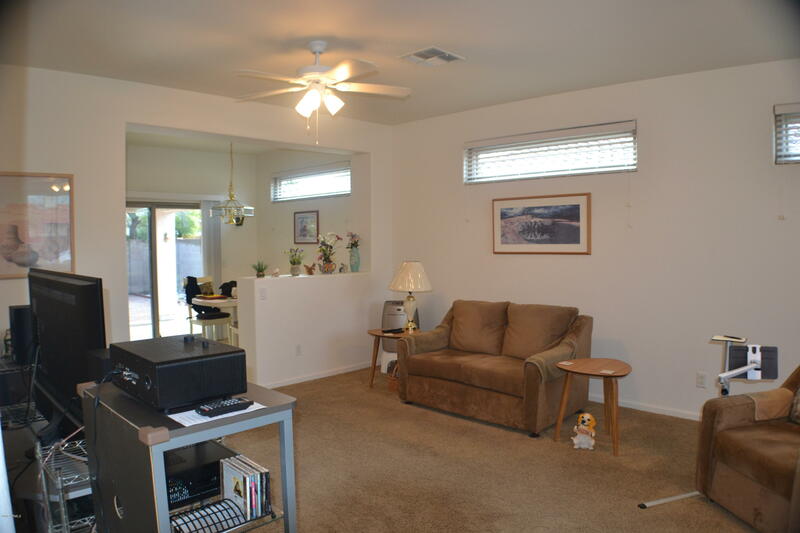 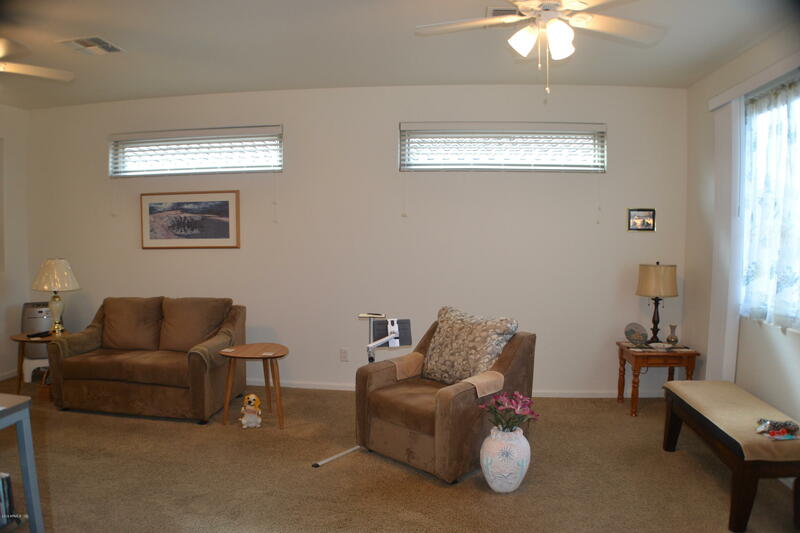 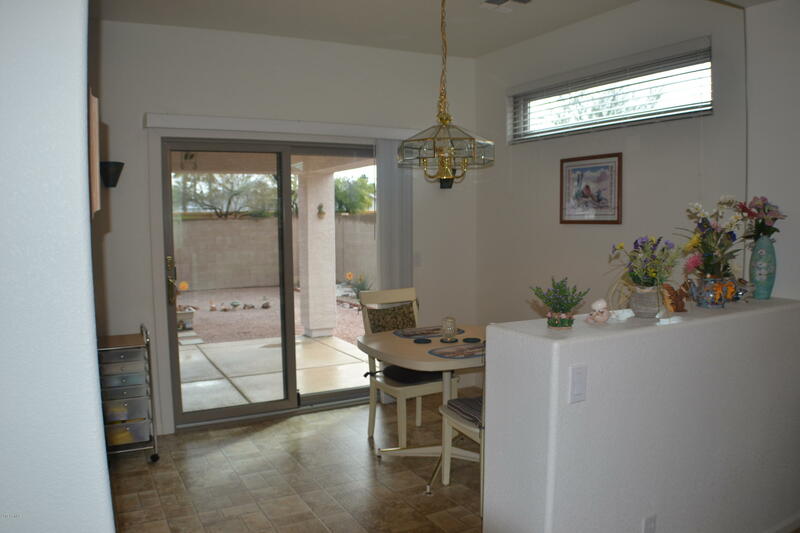 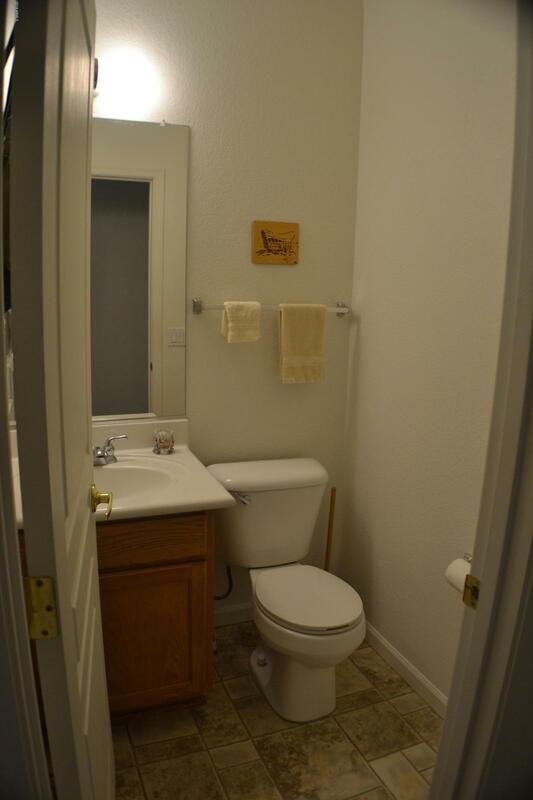 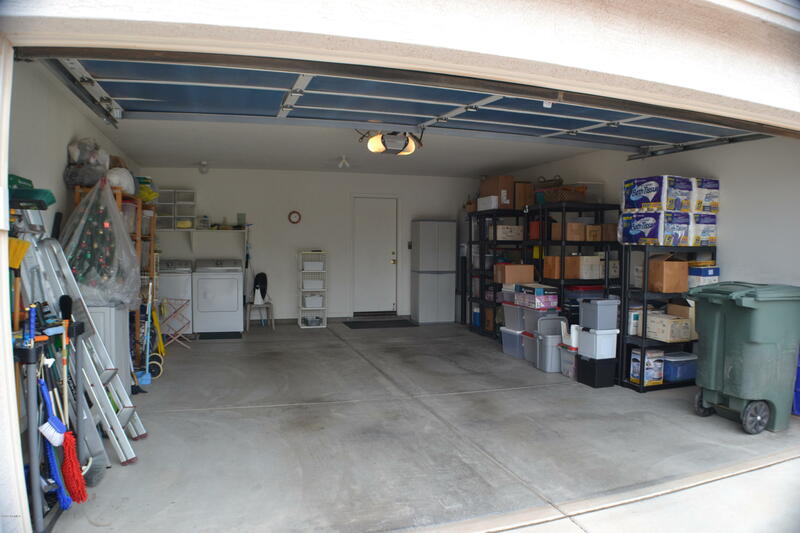 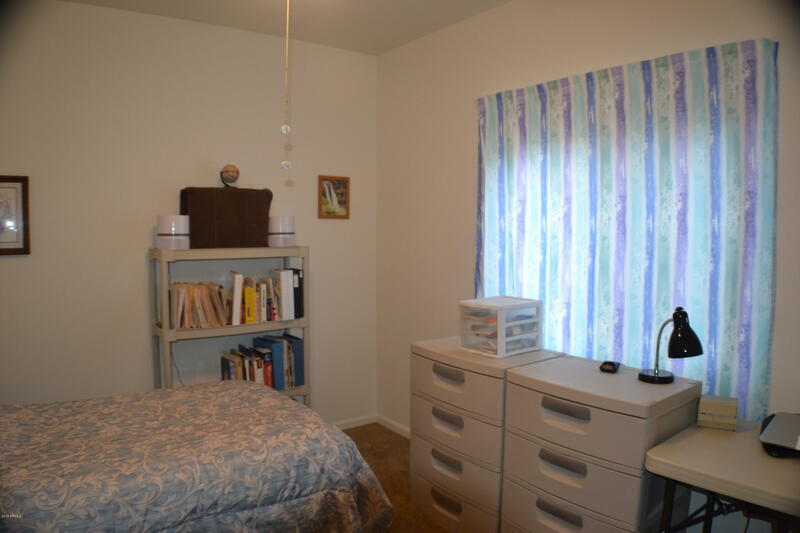 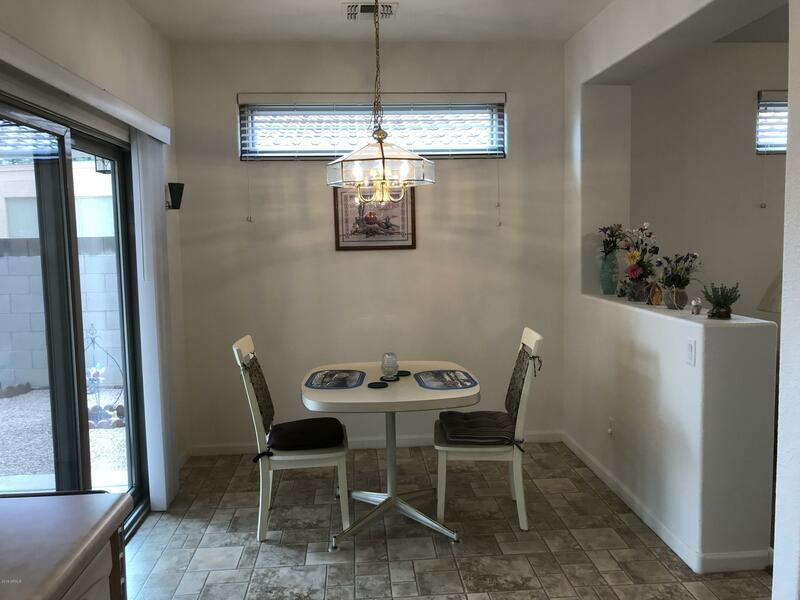 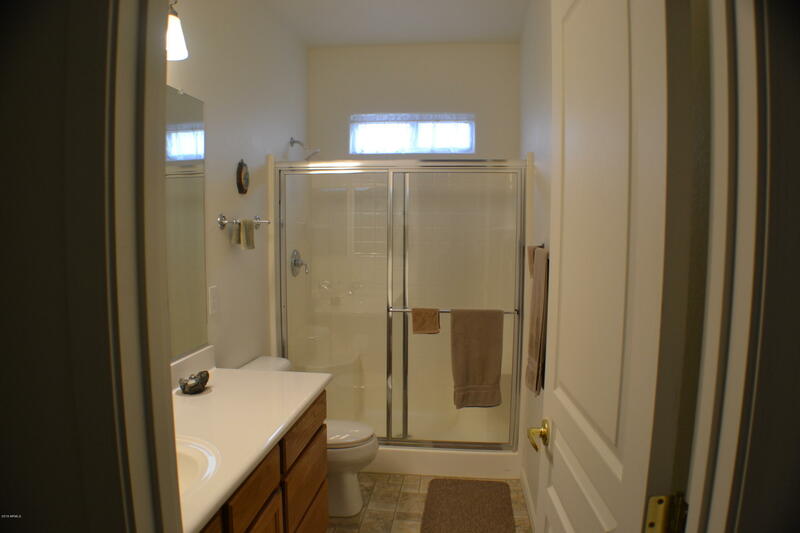 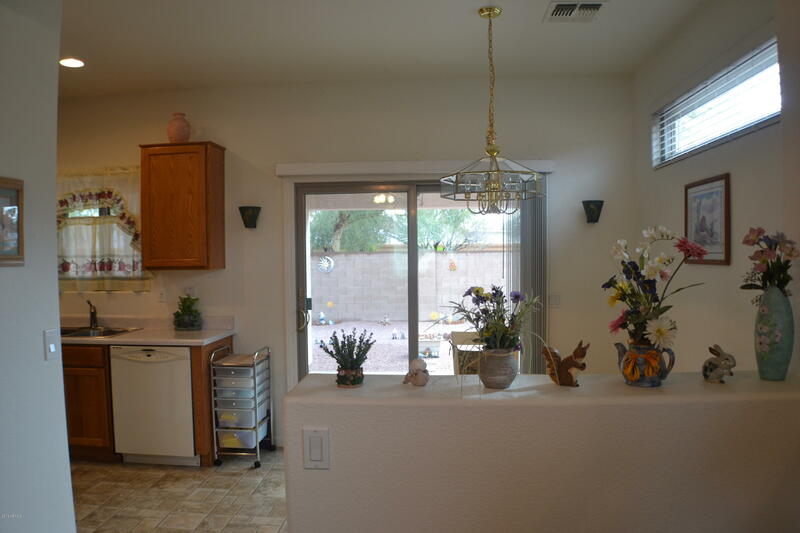 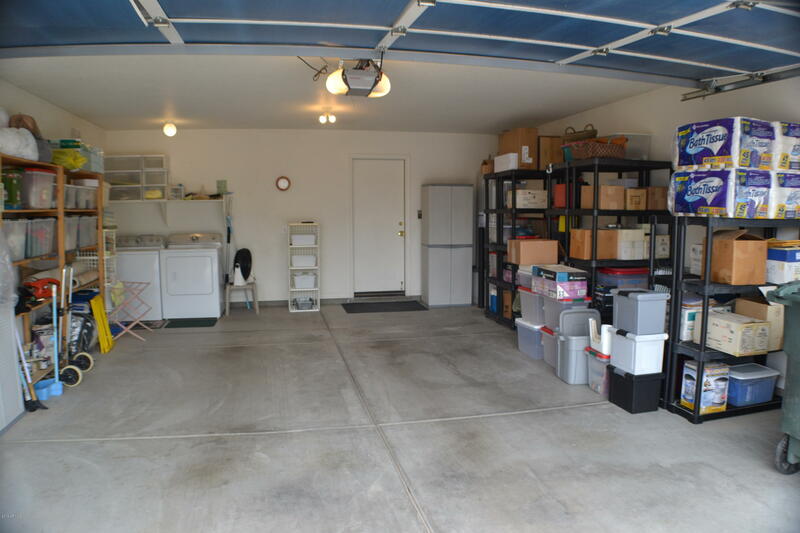 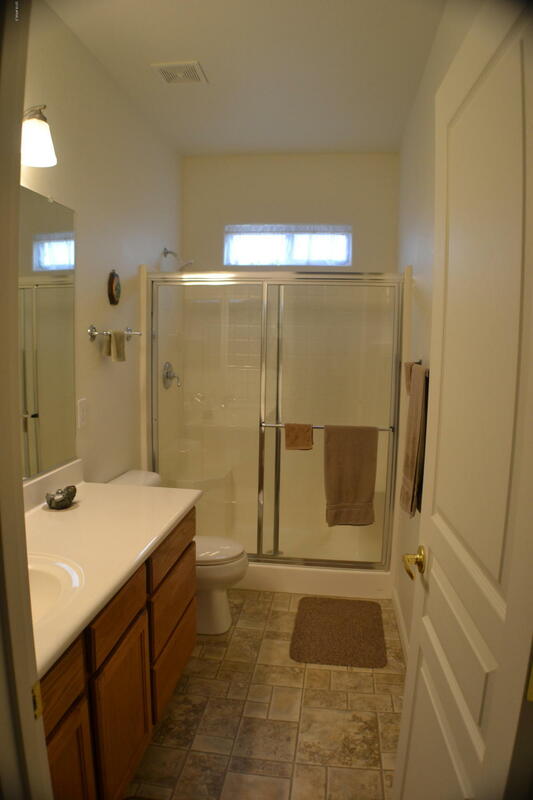 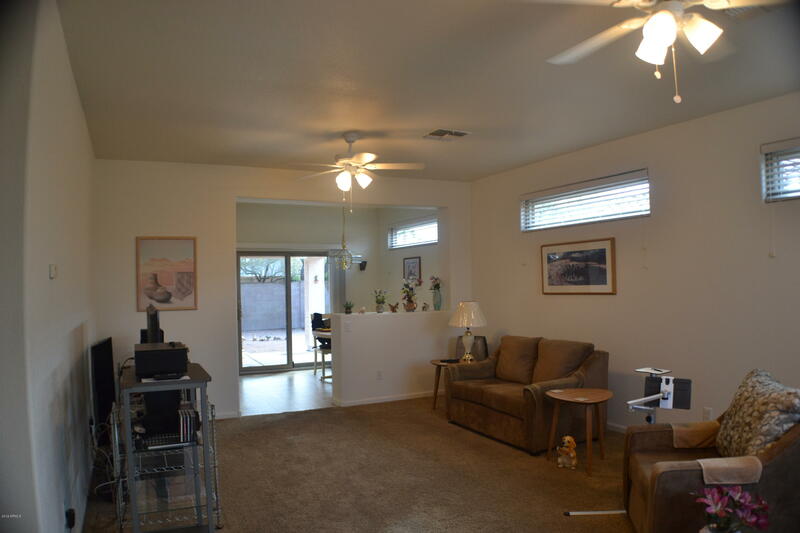 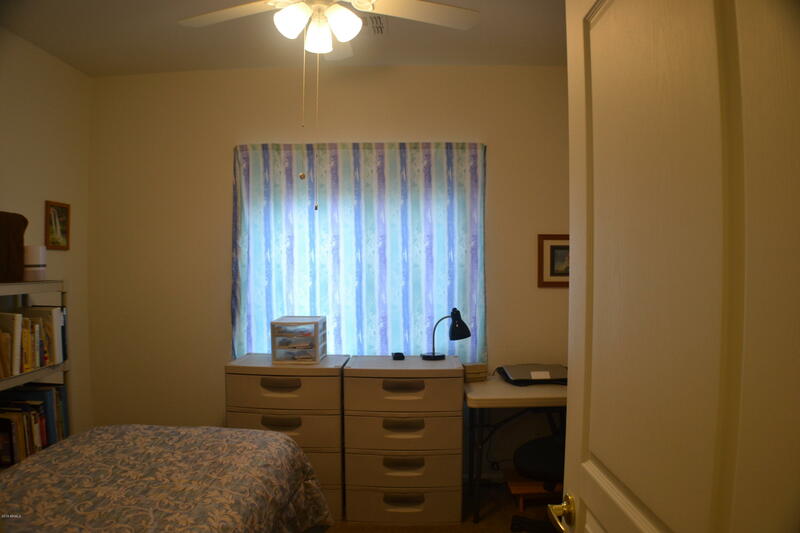 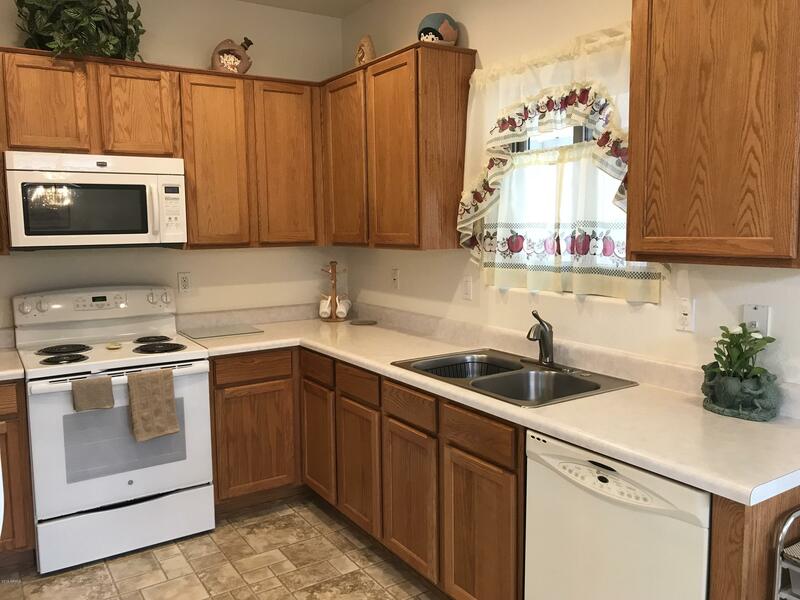 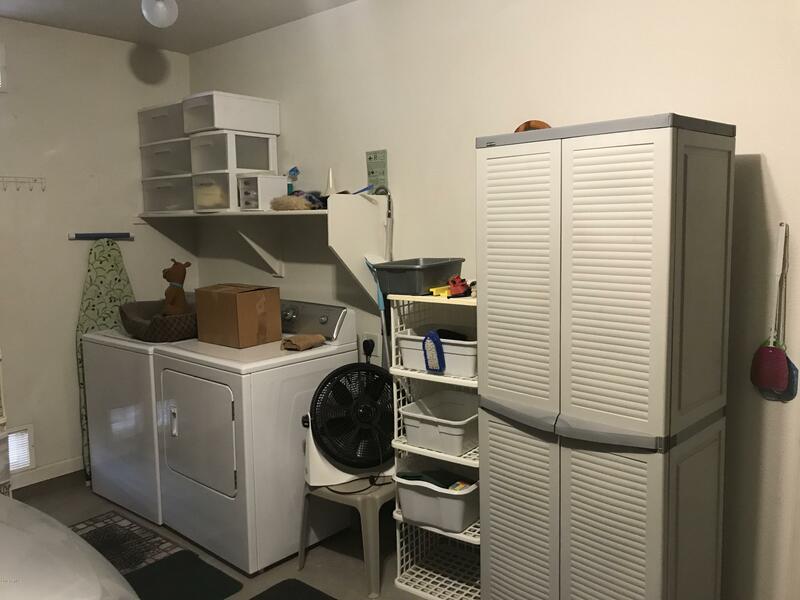 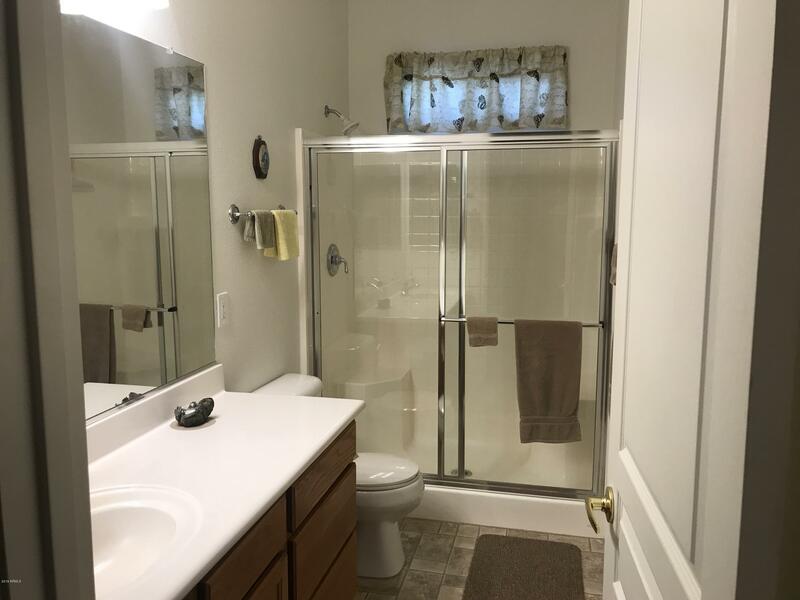 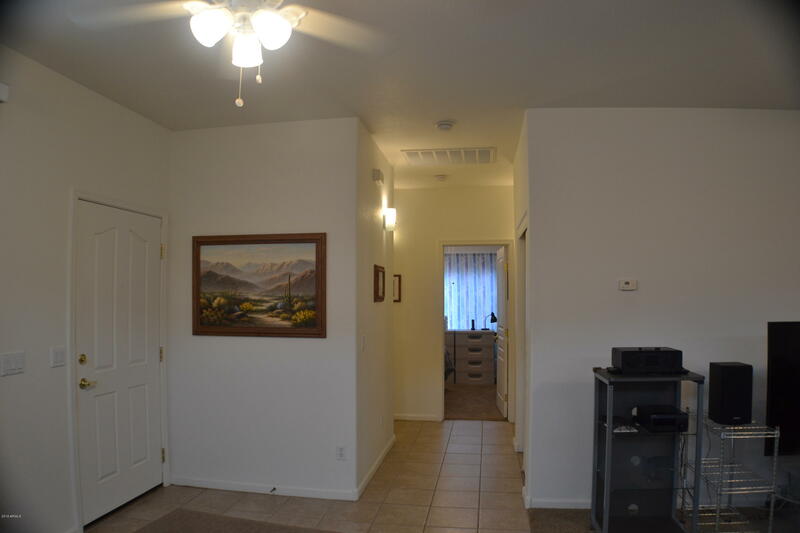 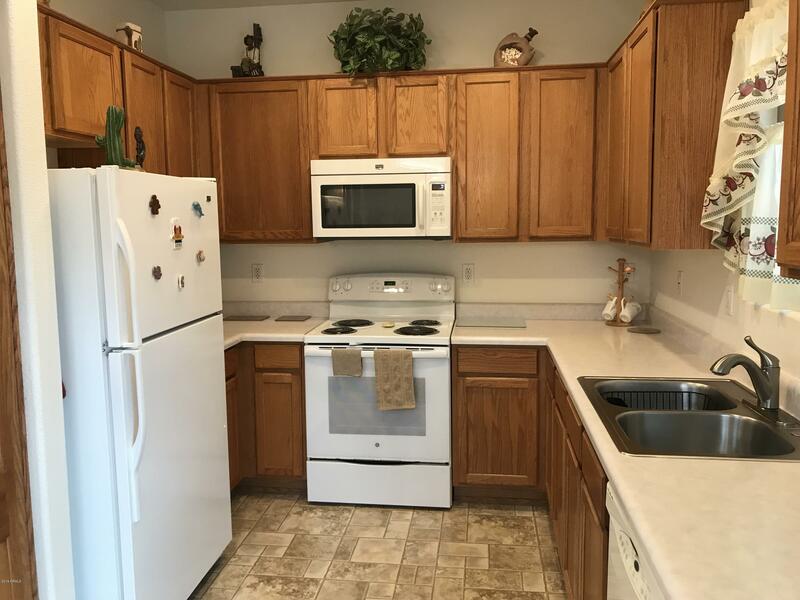 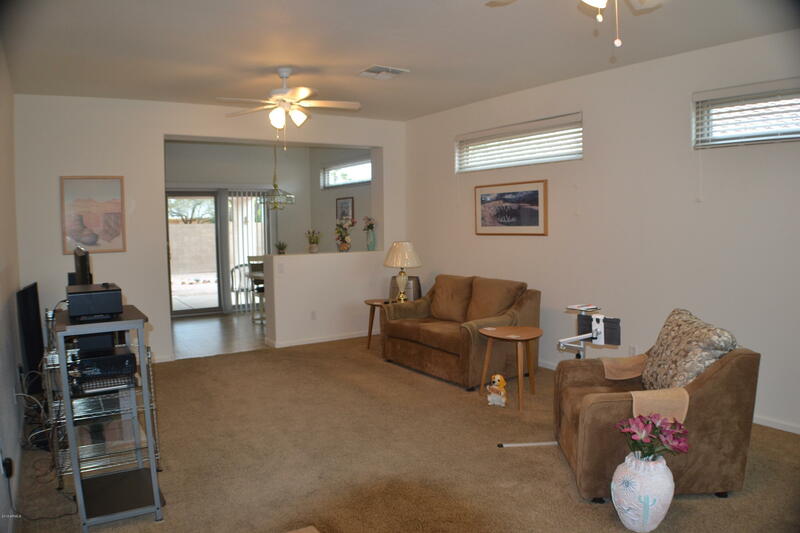 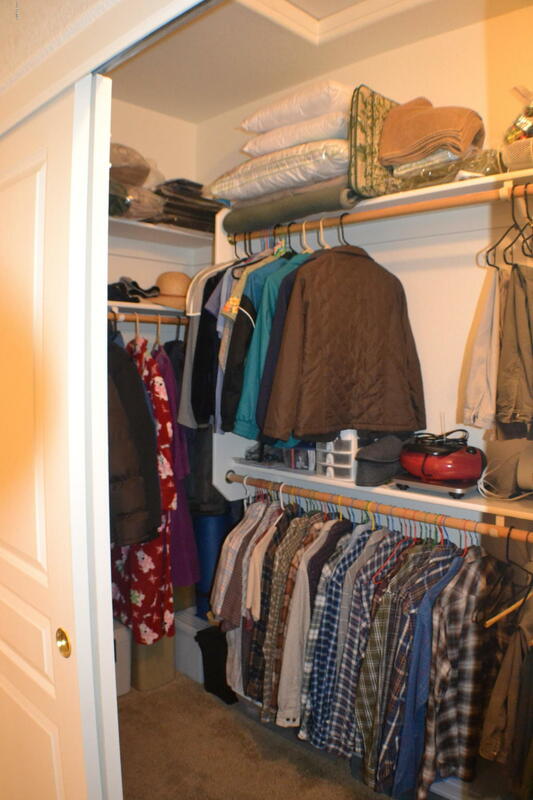 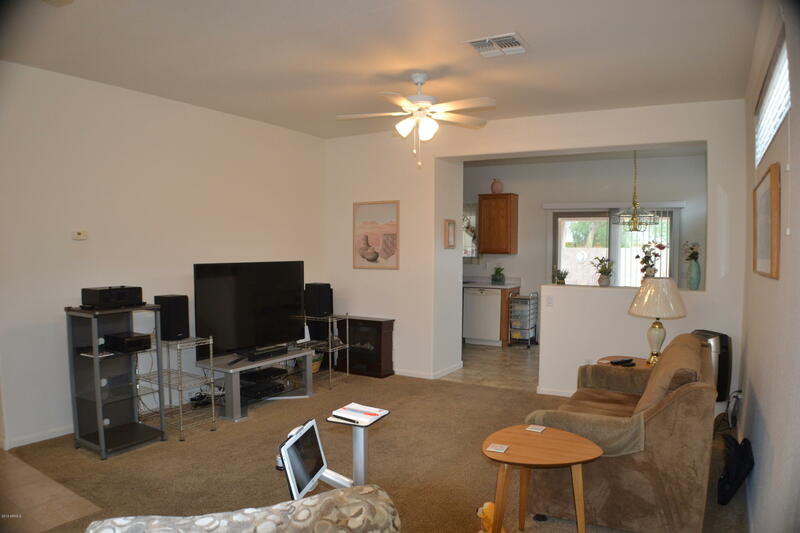 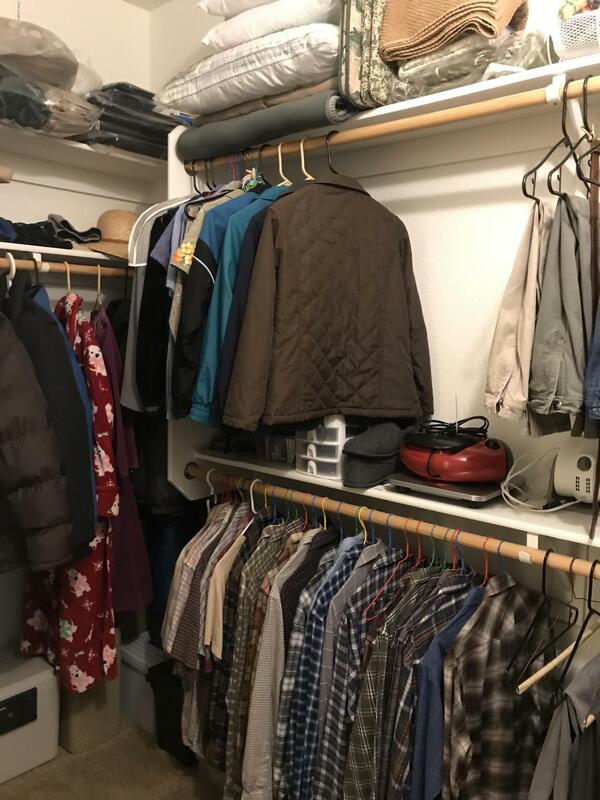 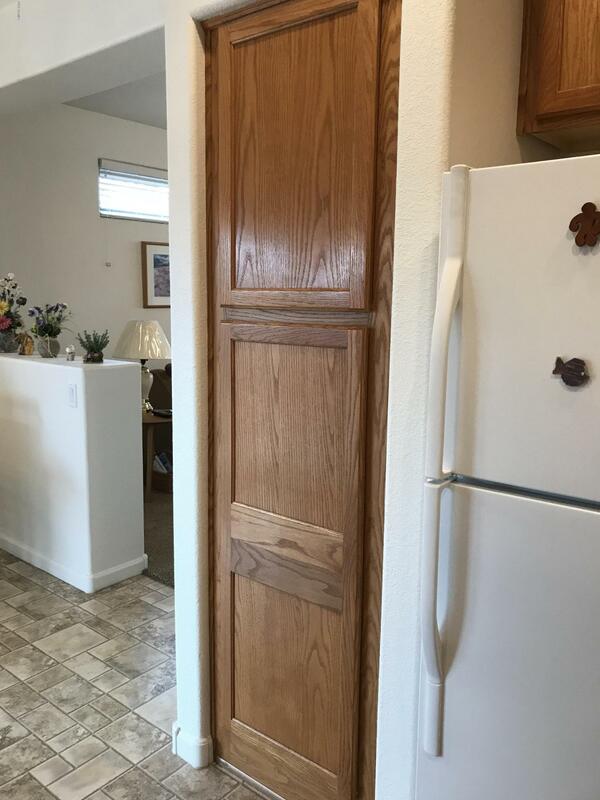 This one bedroom with den could easily be two bedroom has 1 1/2 baths and a two car garage. 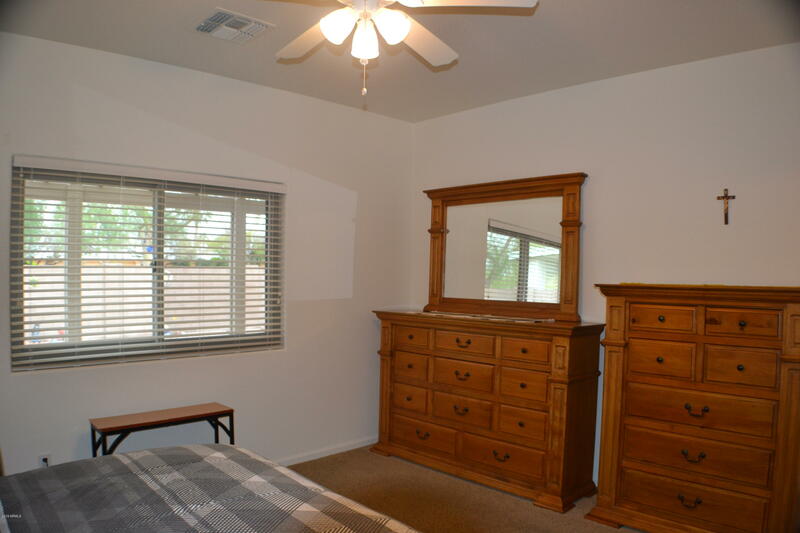 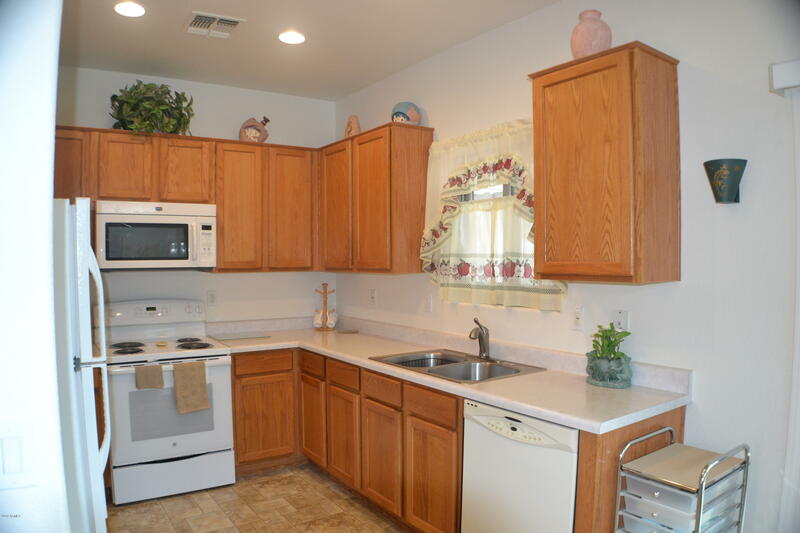 This well cared for home has 9' ceilings, brand new Anderson windows and door. 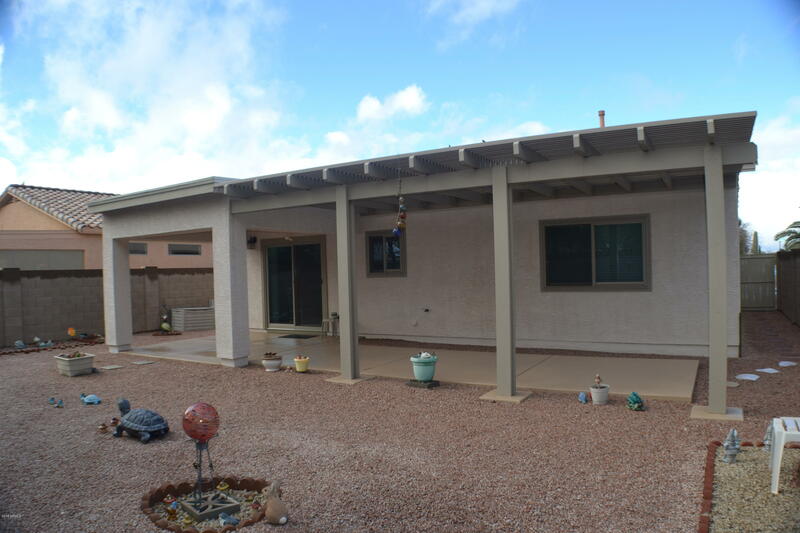 The back patio has been extended the full length of the home, covered with cool deck and a beautiful pergola. 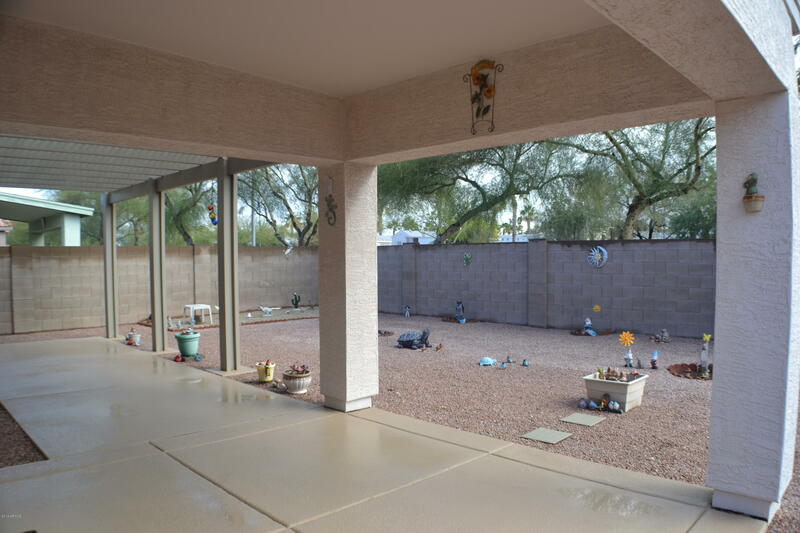 The front driveway has been extended leading into the home. 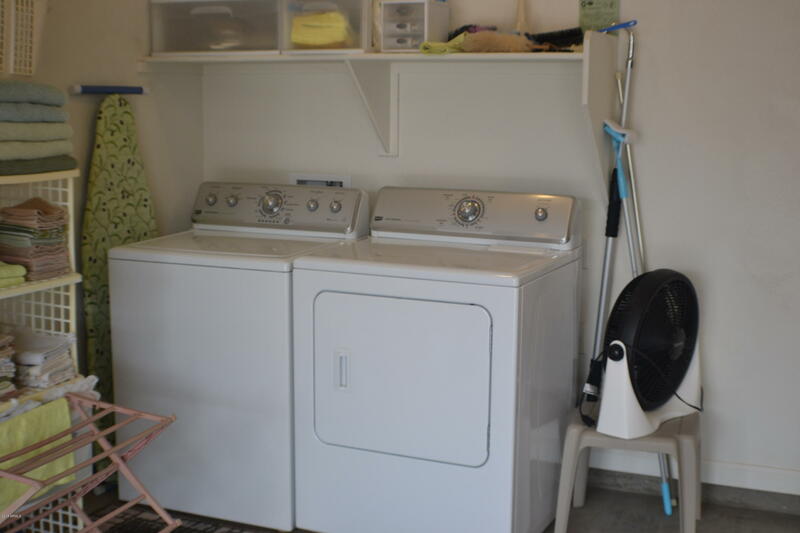 All appliances stay including the washer/dryer as well as the refrigerator. 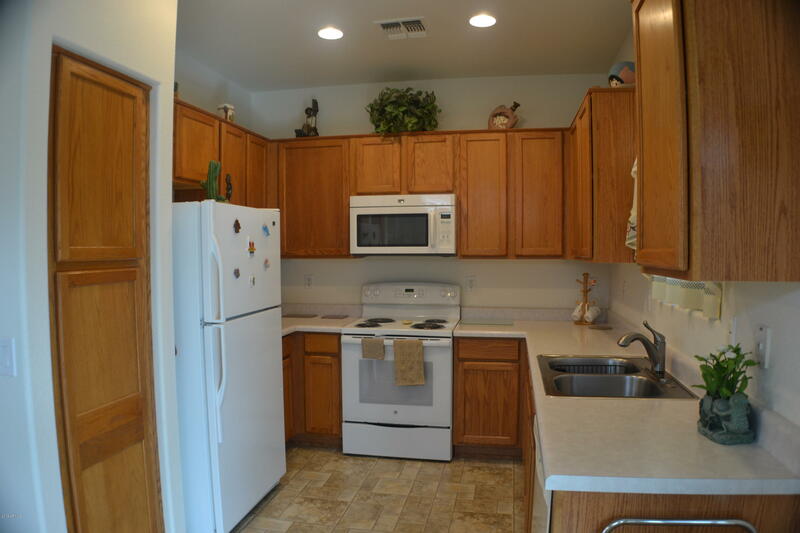 Gas is available in the kitchen for a gas range. 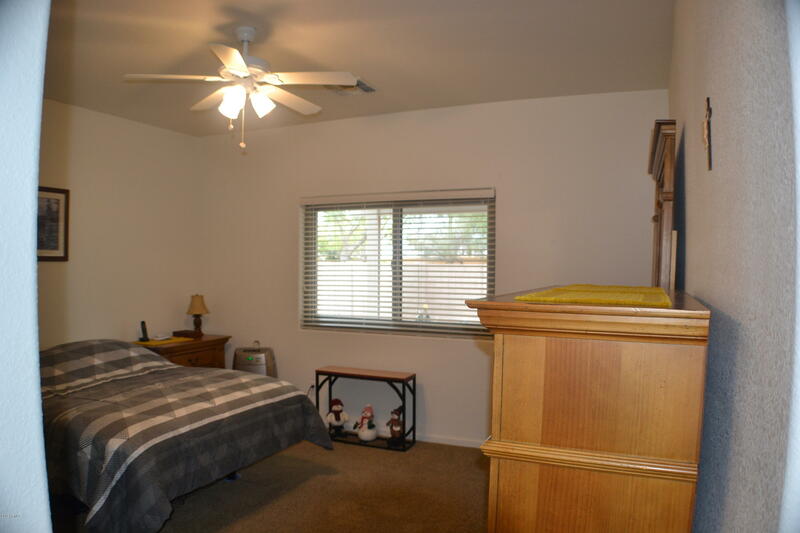 There are ceiling fans throughout. 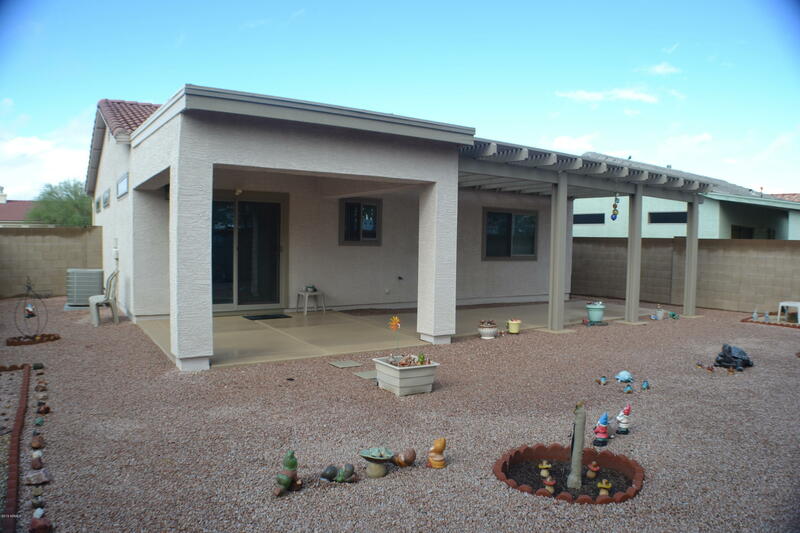 Motion lights front and back, gutters and downspouts out front. 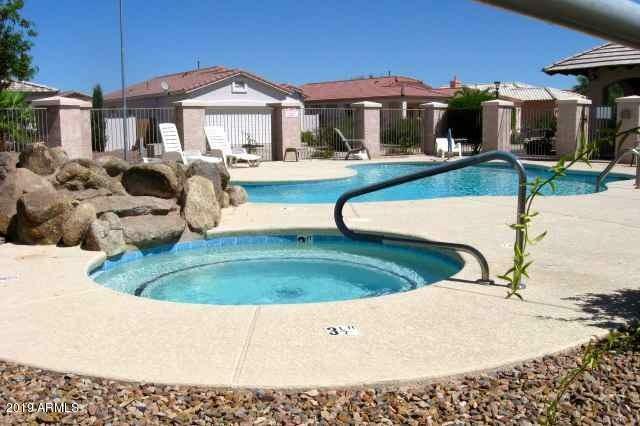 Lovely neighborhood with Clubhouse, heated swimming pool and hot tub. 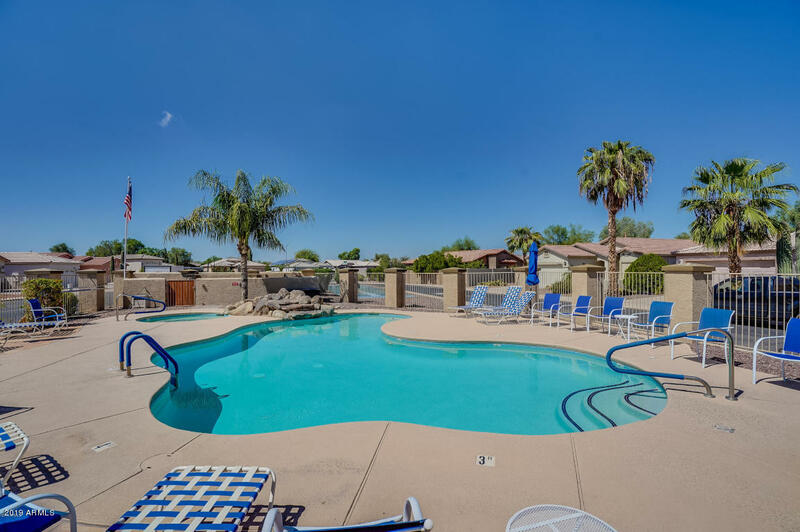 Get out of the cold and into the sunshine!